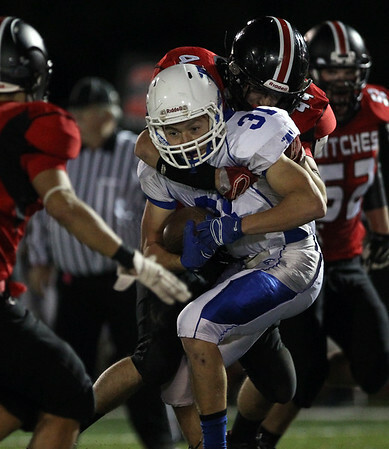 Danvers senior captain Richie Martino (31) holds on tightly to the ball and plows ahead for extra yards as Salem senior captain Glen Gard (44) drags him down from behind. DAVID LE/Staff photo. 10/17/14.